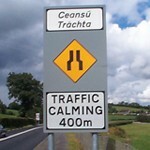 Traffic calming signs schemes are an essential element of road safety management for motorists on approach to urban areas. 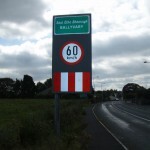 Rennicks offer the full range of traffic calming signs in all sizes and also offer a variety of support posts and masts to suit – including H-Frames and Passively Safe supports. 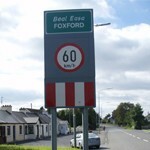 They are built to NRA design guidelines on traffic calming signs schemes, and compliant with EN12899. 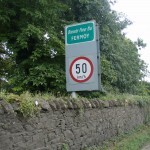 Rennicks also supply the full range of integrated warning signs as specified in the NRA road sign engineering handbook.